Welcome to the highly sought after Building called Vogue. 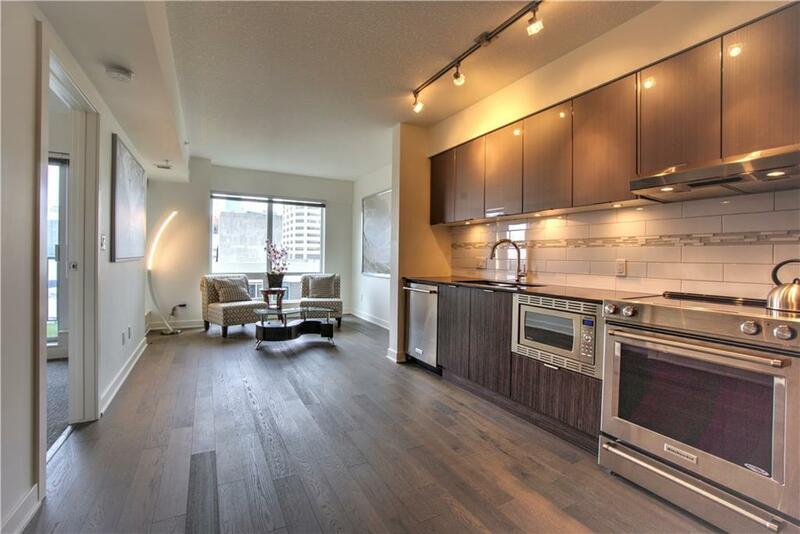 This One Bedroom One Bath unit faces EAST with amazing SKYLINE views! COME LIVE IN LUXURY in LA CAILLE'S NEWEST HIGHRISE. THIS IS AN AMAZING UPBEATABLE LOCATION . 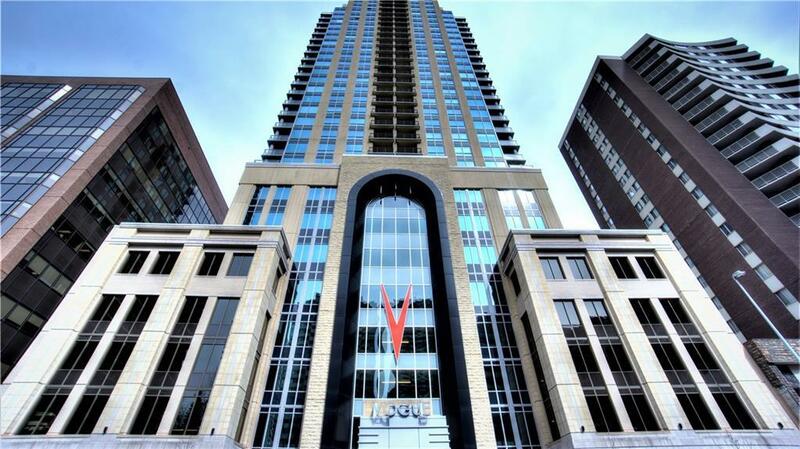 VOGUE has the entire 36th Floor dedicated to AMENITIES - Roof Top Gym, Party Room, Yoga Studio and a Meeting Room with numerous Patios to enjoy 360 degree VIEWS! Close to the Bow River Pathway, Kensington, Eau Claire, 1 block to the LRT Station, Shopping Restaurants, Coffee Shops and your Downtown Office. 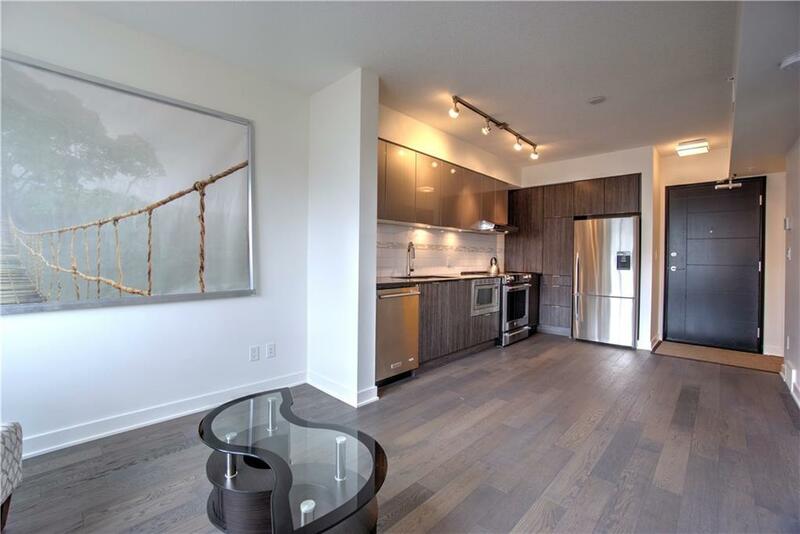 UPGRADES include Engineered Hardwood Floors, Designer Tiles, Quartz Countertops in the Modern Kitchen with soft close Cabinets doors and TITLED UNDERGROUND HEATED SECURED PARKING. This building offers Daily Concierge Service, Onsite Resident Manager and Visitor Parking. The GLAMOROUS HOTEL STYLE LOBBY WELCOMES YOU HOME EVERY DAY! 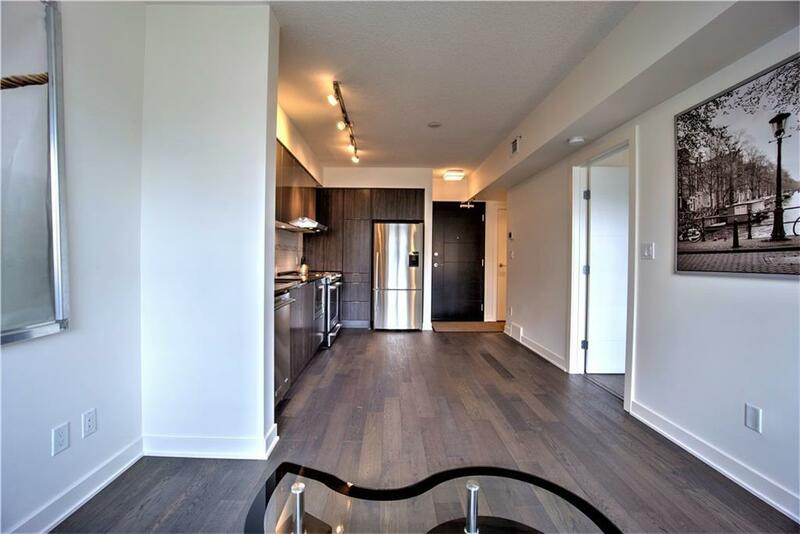 CALL NOW TO VIEW THIS FANTASTIC CONDO - This is a GREAT OPPORTUNITY TO OWN AN INVESTMENT CONDO OR PURCHASE YOUR HOME!